« Earning any kind of specialist certification is a great way to stand out from the crowd, whether you’re looking for a new challenge, a new job, or a way to make yourself more valuable to your current employer. With the growing importance of the cloud, Azure is a must-have certification for anyone looking to prove their skills. » – Veronica Sopher – Microsoft. 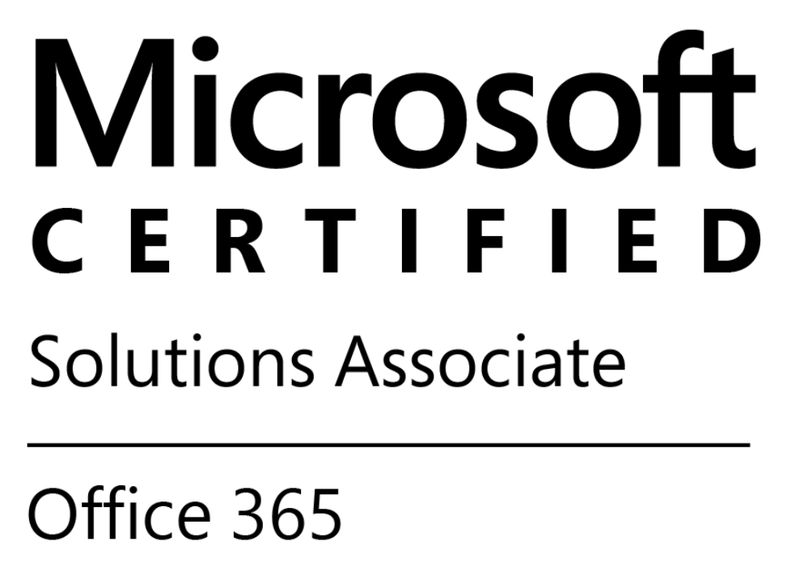 I have earned alos the Microsoft Certified Solutions Associate (MCSA): Office 365 certification. Chourouk was familiar with all the great things Azure brings to a business,since she has worked with those solutions for many startups and ISVs and has earned technical skills and knowledge. She was thinking to validate that experience, that’s why she has passed 70-532 and 70-533. Exam 532 — Developing Microsoft Azure Solutions. This is for you if you’re experienced in designing, programming, implementing, automating, and monitoring Azure solutions. This is also for you if you have implemented an infrastructure solution in Azure. Exam 534 — Architecting Microsoft Azure Solutions. This certification was the last Azure certification. It is part of a larger certification (MCP) and actually the most complex of the Azure certifications. The passing of this exam acknowledges that you are able to identify cloud and hybrid solutions correctly with Azure Solutions, Technologies and Techniques. After achieving this certification, Chourouk is recognized as a Microsoft Certified Solutions Expert.